I do try to regularly read a book by an author I've not heard of before, you never know when you might discover someone you love! I had Margaret Atwood's The Blind Assassin on my bookshelf for the best part of a year before I got round to reading it, and I loved it - I've since read every novel she's written, and I wish I'd got round to reading that book sooner! When I saw a Tweet from Virago asking if anyone wanted to review Getting Colder by Amanda Coe I merrily volunteered, and was one of the first people to respond. I put it to the top of my TBR pile and finished it in a matter of days. I really enjoyed this book. In the 1980s, Sarah abandoned her two young children to run away with Patrick, a young playwright. Now, Sarah has died and her two children Louise and Nigel (now grown up with their own children) head to Cornwall to the dilapidated house a very angry Patrick now lives in alone. The book is described on the back as a 'satirical and truthful novel' which piqued my interest as I've never considered whether a novel is particularly 'truthful' or not. But I think this was, in the ways it portrayed relationships within a family. The characters all responded to grief in different ways, combining practical issues (what is going to happen to the house? Who is inheriting what? Where's Patrick going to live?) along with emotional (why did Sarah leave the children? What was she like?). I particularly liked the sections in which Louise and Nigel were reflecting on their childhood, and what it was like when their mum had left them. Their childhoods contrasted with the childhoods of their children, and the relationships they share. As their nuclear families as well as the wider family start to unravel ever so slightly, they all seem to congregate back in Cornwall where they have to try to overcome their differences and difficulties (or at least attempt to, amicably). Parts of the plot were a tad far-fetched, and yet made perfect sense as the book progressed. 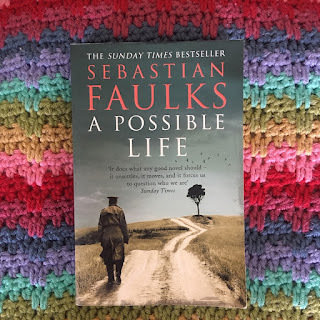 There's no great plot as such (I'd struggle to tell you what actually happens) and it's hardly a fast-paced book, yet it's beautifully written and reveals just enough about each character to keep you reading and wanting more. Louise and Nigel were, to me, as annoying as each other, yet their annoyances stopped just short of being caricatures, so they retained elements of humour. Patrick comes across as a very angry and very sad man, but part of the book is comprised of letters he wrote in the 1980s as he was becoming a success, and knowledge gained about him from this period helps develop an understanding of him, albeit a slight one. This book provides significantly more questions than answers! As I have a habit of reading ahead in books, this does often frustrate me, as I still don't know why something happened. There are some moments in Getting Colder which in any other book would be incredibly important and have many pages dedicated to them, but in this book these events are just subsumed into the general day to day life of the house in Cornwall's inhabitants. Overall, this was a very good book, although a quick look online shows it be to dividing opinion somewhat - I think I agree, you're either going to like it, or not. There's not really a middle ground! I'm definitely adding Amanda Coe's first novel What They Do In The Dark to my TBR pile, this is an author I want to read again! Can't give a recommendation higher than that! Thank you to @ViragoBooks for my free review copy.